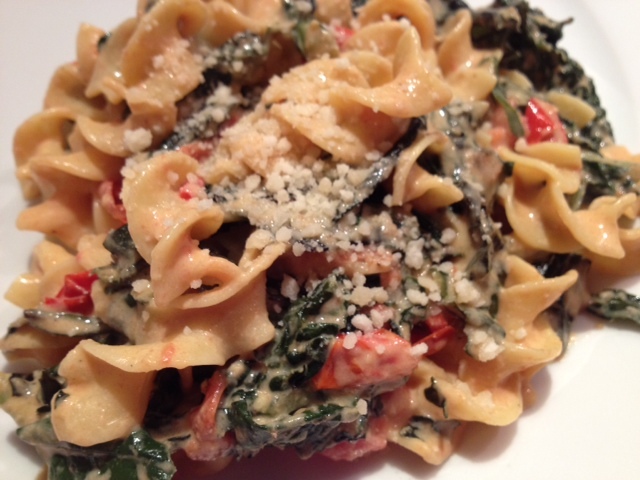 Kale & Tomato Pasta With Low-Fat Parmesan Cream Sauce. 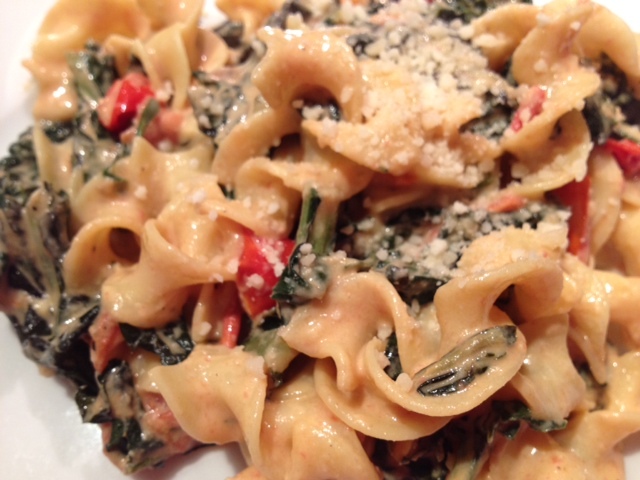 This nutrient-rich kale pasta is warm, hearty and perfect for the wintertime! 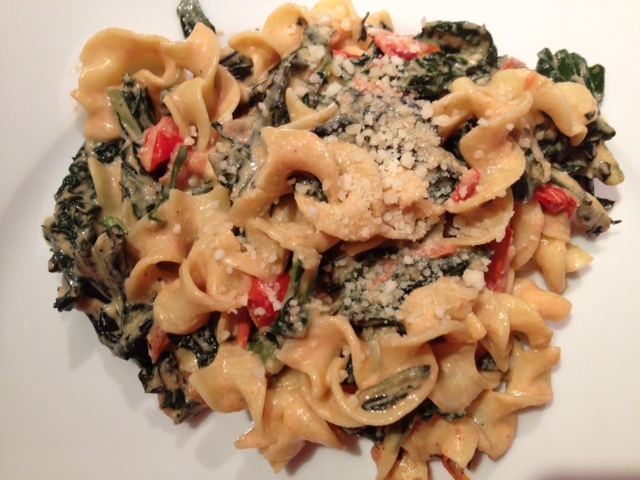 If you haven’t cooked with nutritional yeast before, this is a great time to try it out. 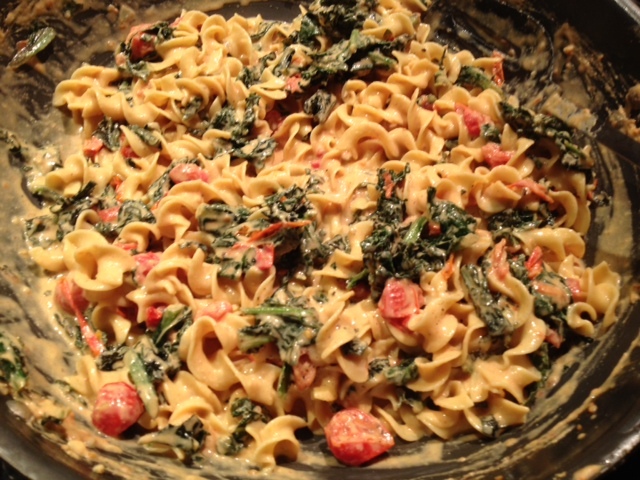 The nutritional yeast helps to thicken the sauce and also adds a cheesy flavor, minus the fat and calories of cheese. It also is a good source of protein and potassium. This allows you to cut down on the Parmesan but still have the same creamy texture. Begin by cooking the kale. 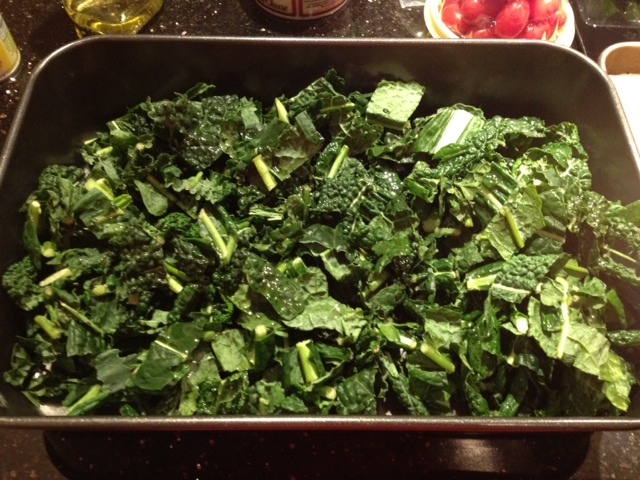 Put the kale it into a roasting pan and toss with 1 tbsp olive oil. Cook it on 400 degrees for about 10 minutes. While the kale is in the oven, heat 3 tbsp of olive oil in a large pan on medium heat. 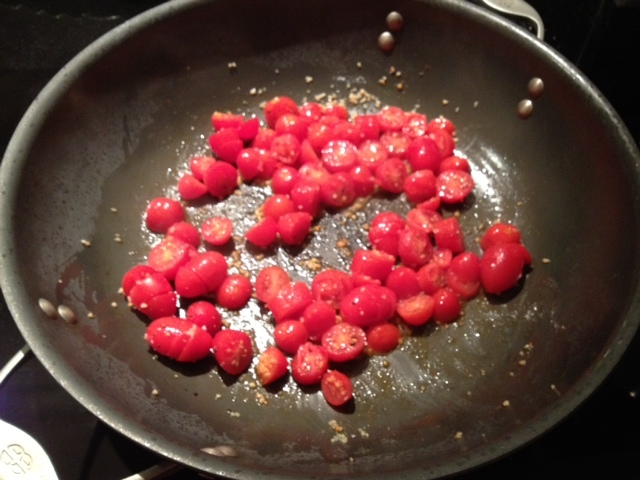 Add the minced garlic and tomatoes and saute. After the kale is done cooking in the oven, add it into the pan with the tomatoes and continue to cook for about 5-7 minutes, or until the kale has wilted down. 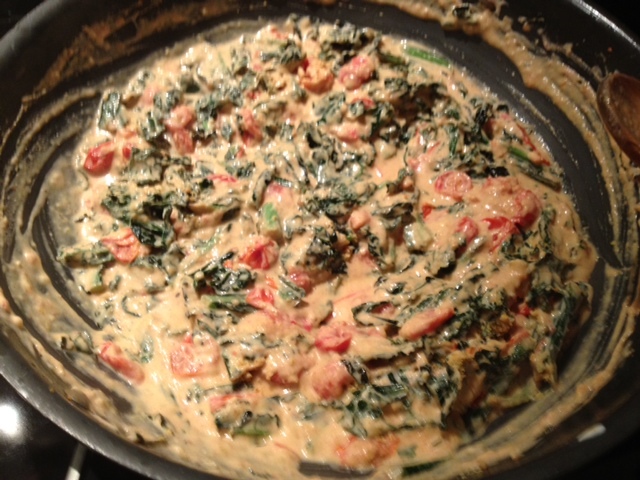 Reduce the heat to simmer, and stir in the sour cream, nutritional yeast and Parmesan cheese. Season with a dash of garlic salt and black pepper. While the sauce is simmering, boil the egg noodles as directed on the package. After they are cooked, drain the excess water and add the noodles into the sauce pan. Stir well to combine the sauce with the noodles. Thanks for sharing your thoughts on healthy weight loss.